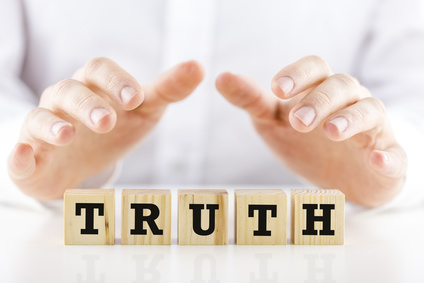 I was recently reading an article in Forbes magazine titled, “Can You Handle the Truth About Retirement?” It was enlightening but frankly also a little depressing. The author lists things like, “after you retire, the only guarantee is that you will die” (a true statement, but just a tad morbid, I think); “problems don’t go away in retirement; they may even get bigger” (again, an accurate statement, but life is full of problems, right? ); “you may end up living longer than generations past, but that doesn’t necessarily mean you will live healthier longer” (health is indeed a significant concern in retirement, so no argument there). He discusses other things like loss of friends and loved ones, increased chance of substance abuse or addiction, and loss of workplace identity. Whew! I tend to have a more optimistic, upbeat, faith- and stewardship-based view of retirement. That said, I think the author of the Forbes article is right to discuss some of the harder truths about retirement. Sometimes you just need to be brutally honest about certain things. Things may not be quite as good or bad as the popular media would have you believe, but that doesn’t mean that there aren’t things you need to be on guard against. Let’s face it; the Bible doesn’t pull any punches either. Take for example the Forbes author’s statement about the certainty of death. The Bible is full of hard truths, and this is one of them. In fact, it is a key theme in the book of Ecclesiastes. As the “wise preacher” says, we would all do well to consider how we live, whether we are in retirement or not, in light of our inevitable demise at some time in the future (Ecc.9:1-6). If you watch the financial company commercials on TV or look at their ads in print or online, you would think that retirement is just a simple matter of saving and investing and planning where you will live and how you will spend your time. (And, of course, you can find any number of companies offering innumerable products and services to help you do just that.) The problem is that they are not telling you the whole story. You are probably saving something for retirement. And you have an idea of where you’re going to live and what you would like to do in retirement. Much of this may well come to fruition, and most of the guidance you will receive assumes that it will. Just plan and save enough and invest wisely and all your retirement hopes and dreams will come true. The problem is that nobody wants to talk about the fact that your retirement could be different from what you plan and imagine. That’s because of the things that may materialize in retirement that can make it very challenging. I will list seven that I think can be most impactful. But I also want to remind you of what the Bible has to say about them and how practicing wise retirement stewardship can help you deal with them. 1. You can lose meaning and purpose without work. This is a real and present danger in retirement. God created us all with an intrinsic need for work – to provide for our families and also to productively contribute to the world around us. Once you leave your full-time career, you may find yourself adrift in the absence of those challenges and opportunities. Because of our tendency to seek identity and purpose in our work, retirement can leave a huge void. Work provides fulfillment on multiple levels so it can be a big loss in retirement, especially if you have to leave work earlier than planned due to a forced layoff or for health reasons. Suggestions: Your work is important, but the Bible makes it clear that we cannot find our true identities in our work. Our identity comes from the fact that we are children of God and disciples of Jesus Christ (1 Peter 2:9; 1 John 3:1-2). That does not change no matter what season of life we are in. If you continue to wholeheartedly pursue your relationship with Christ and Gospel mission in the context of your local church, you will find real meaning and significance in your life. Of course, you can also find other productive activities to pursue; some may even choose to start a small business or take some part-time work. But even those will eventually come to an end. What will endure is your union with, and identity in, Christ – you can live in the good of that until the very end (1Cor.6:17; 12:27). 2. Medical problems can consume a disproportionately high percentage of retirement income. As you age, you are more likely to have medical problems. No matter what you do to try to preserve your health, aging will eventually take its toll (1Cor.15:42; 2Cor.4:16). And unfortunately, some medical problems can be very severe and can take a huge bite out of your retirement savings. And don’t forget about the possibility of long-term care expenses. Health and long-term care costs are rising faster than inflation in general with no end in sight. A study by Fidelity Investments suggests that a retired couple will spend an average of $275,000 in today’s dollars for health care expenses in retirement. That includes Medicare and supplement premiums and also out of pocket expenses. Suggestions: In Scripture, you can find help and encouragement on how to maintain good health (Prov.17:22; 1Cor.10:31; 1Tim.4:8). You can also pray and trust God for health and healing when you are sick (3 John 1:2). But you must also accept that fact that you will not always enjoy good health and learn to rejoice in the midst of physical limitations or suffering knowing that your ultimate goal is to remain faithful to the end (Romans 5:3-5). Regarding planning for healthcare expenses, you should not assume that you will always have good health and take that into account in saving and budgeting. One way is to save in a Healthcare Savings Account (HSA) before retirement and then sign up for a Medicare Advantage Plan (Part C), or Supplemental Plan and Prescription Coverage (Part D) to help reduce some out-of-pocket expenses in retirement. Some may also want to consider Long Term Care Insurance as Medicare does not cover nursing home care. 3. The government isn’t going to take care of you, and your family may be unwilling or unable to. According to an article in U.S. News and World Report, retirees are too dependent on Social Security to fund their retirements. A 2009 study showed that Social Security makes up almost 40 percent of the total income of people age 65. Also, according to the Social Security Administration, in that same year, 66 percent of Americans age 65 and over got most of their income from Social Security. Social Security was never intended to be the primary source of retirement income for the majority of retirees. It was designed to be a safety-net to prevent older people from being without the bare essentials once they left the workforce for good. Currently, a couple who earns less than $50,000 per year will likely receive about 40 percent of that in Social Security. For a higher-earning couple making $100,000 per year, the percentage falls to approximately 25% (notice that benefits don’t increase in direct proportion to earnings). The average benefit for recipients at full retirement age was recently $1,358/month. Social Security isn’t going away anytime soon, but it is highly probable that the government will decrease benefits sometime in the future. Although the Bible talks about caring for family members, you should not assume they will be in a position to help should you need it. 1Tim.5:8 says that someone who does not take care of their family is worse than an unbeliever. However, that verse seems mainly concerned with heads of households and their immediate family. There is also the commandment to honor fathers and mothers. But most people don’t want to be a burden to their family. In fact, better to be able to be a blessing to your children in your later years rather than add to their financial overhead. Plus, they need to be saving for their retirement. Suggestions: Younger people should assume that Social Security may not be there for them 30 or 40 years from now, at least not in its present form. It would be best to view a Social Security check as a bonus, not the main part of your retirement. Regarding assistance from family, there will be times when older parents (or grandparents) need help, and caring families may need to step in and assist, but you shouldn’t presume on that. Better to have some savings on hand if Social Security won’t be enough, and if possible, annuitize a portion of them to have some additional guaranteed income for life. Finding some part-time work is also an option, but certainly not everyone, especially as they get older. Yes, God is going to care for us. He has promised to meet your needs (Phil.4:19), but that doesn’t necessarily mean that he will do it exactly as you would like or that you will have everything you want. He does it his way and in his time. You can certainly rely on God’s promises, but you also have to remember that he instructs us to prepare wisely for the future as well (Prov.6:6-8; Prov.21:20; Luke 14:28-30). It would be unwise and irresponsible to presume on God for your provision in later life if you have done little or nothing for yourselves. Many things in life are accomplished through faith and deeds, and retiring with dignity is one of them. Suggestions: Do what you can to plan and save when you are young. In fact, the earlier you start, the better. Keep your expenses under control and avoid unnecessary debt. Be generous and trust God to provide for all your needs. You can rest in the assurance of God’s promises while also recognizing your part in making provision for yourself in your later years. If you come up short, trust God to care for you – as Psalm 37:25 says, “I have been young, and now am old, yet I have not seen the righteous forsaken or his children begging for bread.” God will never leave you or forsake you because of his great love for you in Christ Jesus: “As the Father has loved me, so have I loved you. Abide in my love” (John 15:9 – ESV). 5. Your retirement savings may be at risk. Assuming you have set aside something for retirement and you invest in the financial markets, you need to be aware of the various risks involved. I have previously written about sequence of returns risk and also inflation, but one of the biggest is your own little self – your emotions and behaviors. You can take unnecessary risks by investing too aggressively, not being sufficiently diversified, or by withdrawing too much too soon. But the most significant risk is that you will do something unwise based on emotion – either because the financial markets are going gangbusters or because they are crashing. Many people buy and sell at the wrong times and lose money in the process. Ignorance or inexperience, or acting on bad information, can be real threats to your retirement savings. We’ve all made financial mistakes, but they can be particularly serious if you make them with your savings and investments while in retirement. The financial media, especially online, is full of financial advice, as well as many products and services for sale. But not everything you hear or read is trustworthy information or advice. Unfortunately, there is also the possibility of a decline in cognitive abilities which could affect your ability to effectively manage your finances. That must be considered in any kind of ongoing portfolio management and savings withdrawal strategy, especially in the later years of retirement. Suggestions: There is virtually no way to ensure that you will never lose money in retirement. Even if you put it all in First Mattress Financial, you will lose purchasing power due to inflation. By the time you reach retirement age, you will have probably experienced a fair amount of financial turbulence and have learned about the fairly routine cycles of recession and economic growth and the lessons they teach. If you have learned to ride them out by keeping a long-term view, you are less likely to make costly mistakes. We all need to seek out reliable information and advice. Educating ourselves is one of best things we can do. I have provided links to a variety of possible sources on my Resources page. Many of us would do well to seek advice from a professional financial advisor, especially if you are impulsive and prone to make decisions based on emotion. If that’s your intent, read my recent series on Financial Advisors. You also need some criteria for decision making – call them personal financial principles or policies – that you can use as a filter and to assess any information you receive. For example, “avoid get-rich-quick schemes” (Prov.13:11-13) is a good stewardship principle. Cognitive decline in retirement is best addressed by advanced planning, use of professional advisors, and automation of certain financial activities (withdrawals, bill payment, etc.). 6. You could run out of money before you die. People are living longer and longer. According to Social Security actuary tables, a man has a life expectancy of 84, and for a woman, it is 86. That means that half will die before age 84 or 86 and half will live longer. TIAA, a leading provider of retirement products, expects those who purchase their annuities to live to age 89. So, although God knows the appointed time for each of us (Ecc.3:1-2), from a planning perspective, it makes sense to assume you will live to age 89 or perhaps into your 90s. If you retire at age 65 and do not work for pay again, you could need a dependable income stream that will last almost 30 years! That can be very challenging, especially when you consider that most retirees will need to withdraw 3 to 5 percent of their savings each year to supplement Social Security. Suggestions: The fact is, due to the number of unknowns, there are no easy answers – it comes down to the basics: Save as much as you can to add to Social Security to generate enough income to replace 50 to 80 percent of your pre-retirement income based on a 4 percent annual savings withdrawal rate. Consider a fixed income annuity for a portion of your savings to provide an additional guaranteed income stream for life. Also, a reverse mortgage may be a good option as well, although I view it as a last resort. 7. You may not receive the inheritance you are counting on. Many people are counting on a large inheritance to help them out. There are good reasons for that. Predictions say that trillions (with a ‘T’) of dollars will transfer from the oldest generation over the next few decades. An HSBC study found that older families in the U.S. plan to leave an average estate of $177,000. That would indeed be a windfall for many. The problem is that anticipated inheritances don’t always play out as you expect. Older people change their minds. Or, they have to spend a lot of their money on healthcare or long-term nursing care. Others are cheated out of their money, sometimes by a greedy family member or friend, or a dishonest financial professional. Suggestions: You would be wise to not presume and plan for retirement as though there will be little or no inheritance. Then, if you receive one, you will have much more flexibility with the money. If you don’t, you will still be okay since you didn’t depend on it in the first place. If you are fortunate enough to receive an inheritance, be careful with it. One study showed that one-third of the people who received an inheritance had negative savings within two years. In other words, they squandered their new-found wealth and then some. The message that these hard realities teach is that you need to do all you can to take care of your own retirement (include your spouse, of course). No one else has as much at stake as you do and no one else is going to do it for you. You can also put your faith and trust in God and his promise to care for you.